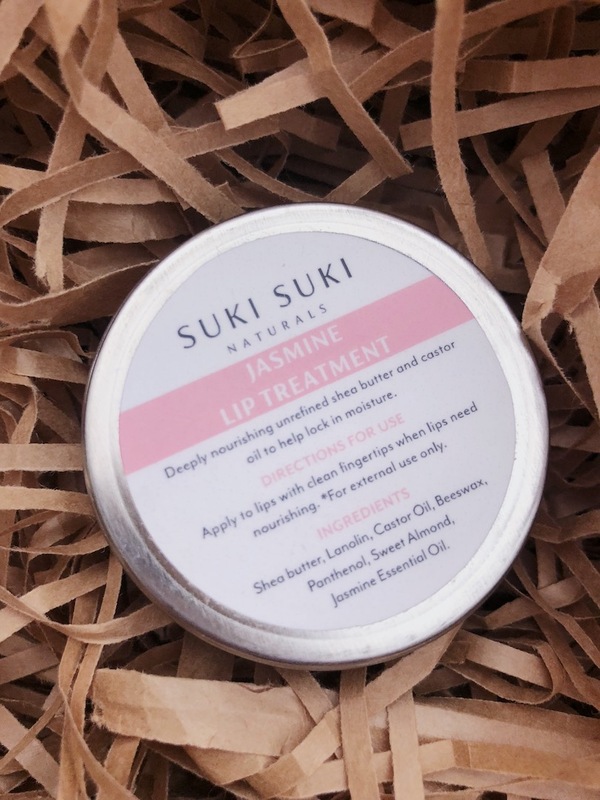 I’m always excited about new beauty products – especially natural, organic, cruelty free, paragon free and silicone free skincare products, made in South Africa. 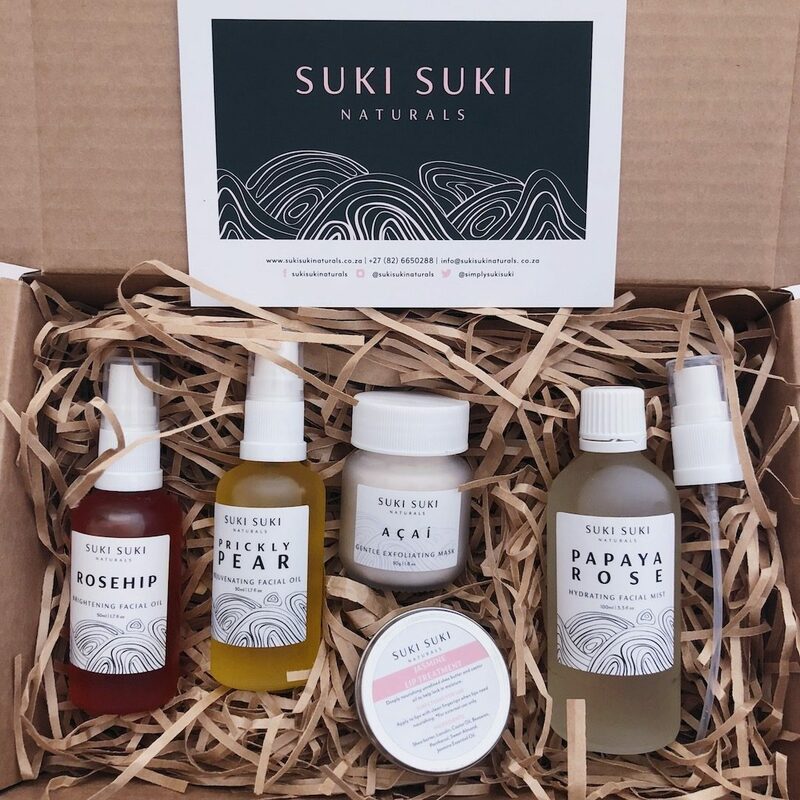 Suki Suki Naturals is natural, high quality, non-toxic, honest and made in my birth city, Johannesburg. We believe in self-care and self-love through the cultivation and preservation of one’s natural beauty. 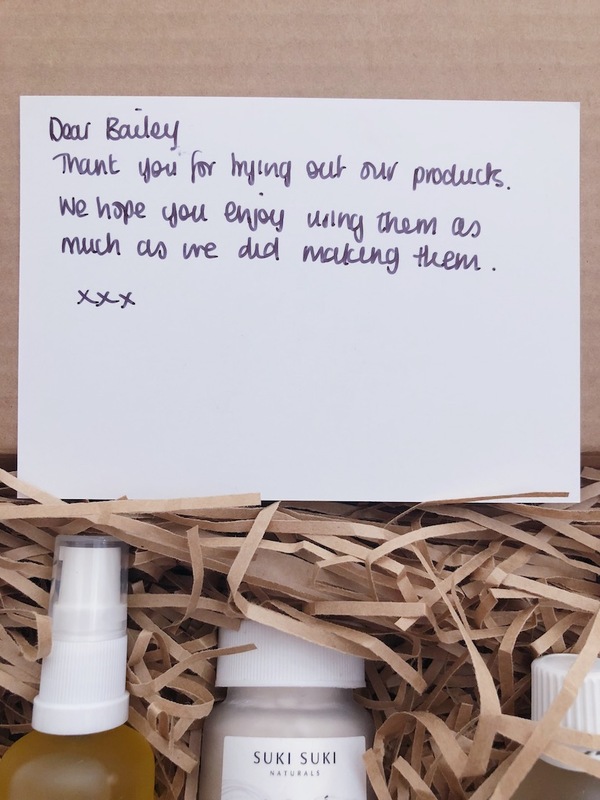 They use the finest natural ingredients ethically sourced, from Morocco to Brazil. The packaging is simple, classy and beautiful. I’m really impressed with the price point, considering the ingredients and high quality. Suitable for all skin types. R220 for 100ml. 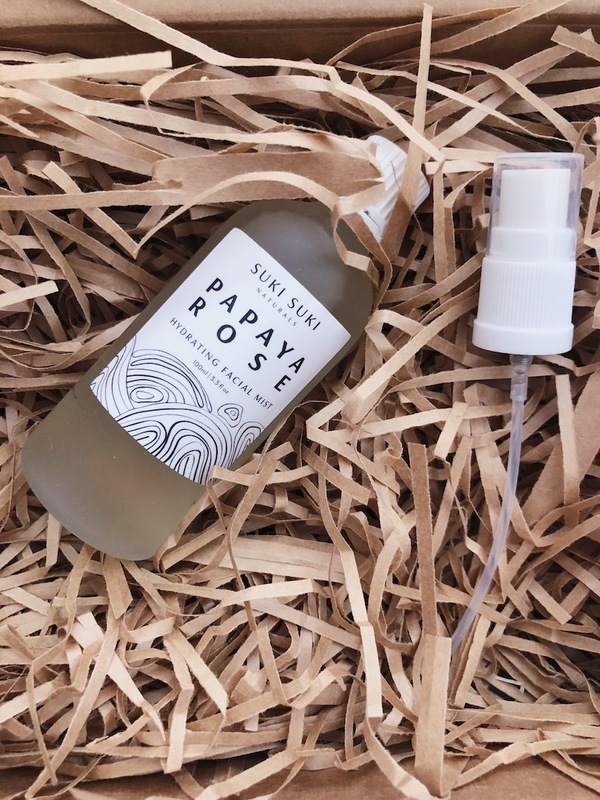 It contains moisture-enhancing rose water to tone, hydrate and soften all skin types. 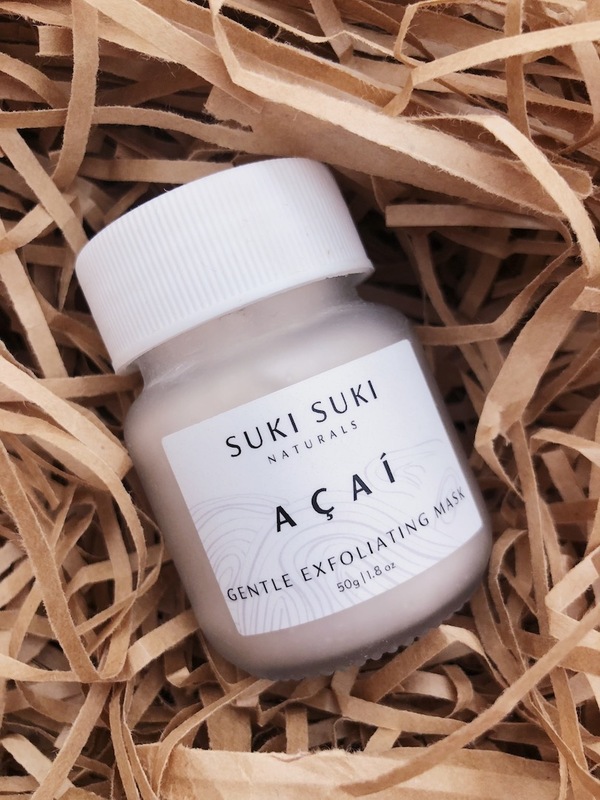 Infused with papaya extract, rich in papain enzyme, it exfoliates to speed up cell turn over. Suitable for normal, oily and acne-prone skin. R240 for 50g. Açai, a native fruit of Brazil, is anti-aging and an antioxidant superfood that protects the skin from environmental aggressors and reduces the appearance of ageing. Turmeric has healing, anti-inflammatory and anti-bacterial properties, great for acne-prone skin. Apricot kernels provide a gentle and effective exfoliation. Suitable for all skin types. R330 for 50ml. I must admit, I’ve been very nervous to apply an oil to my face, especially since I have an oily combination skin, but I’ve actually found my skin loving the facial oil so much and what I’ve discovered is, I have less oil, my skin feels extra moisturised and it looks more dewy. I’m loving it. 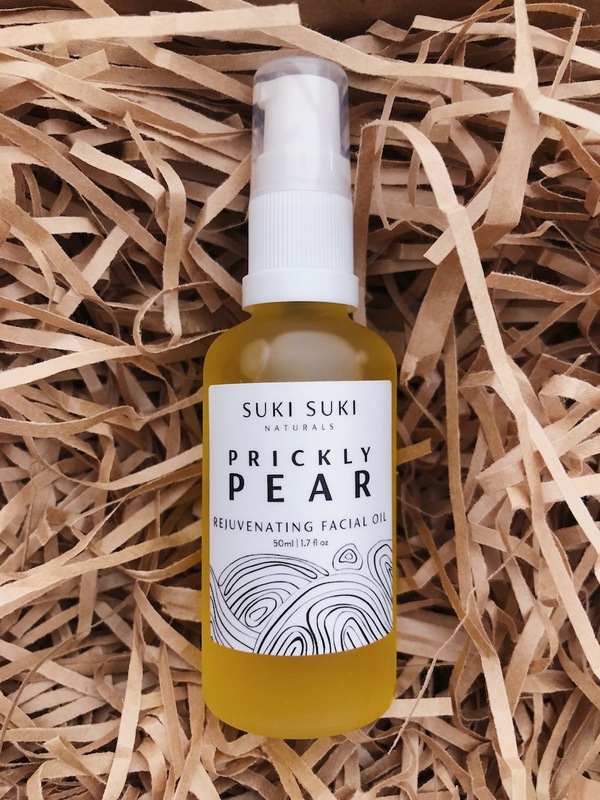 Prickly Pear oil is high in vitamin E, which stimulates collagen production and a faster cell turn over. It’s high content of vitamin K prevents the formation of wrinkles and fine lines, reduces blemishes and brightens under eye circles. Moisture-rich inch niche oil helps to keep the skin supple and retain moisture. Suitable for all skin types. R300 for 50ml. The sun’s UV rays can damage the skin, resulting in age spots and discolouration. Anti-oxidants found in rosehip oil combat free radicals that cause sun damage. Vitamin A in rosehip oil can help brighten the skin and improve skin tone, texture and pigmentation. 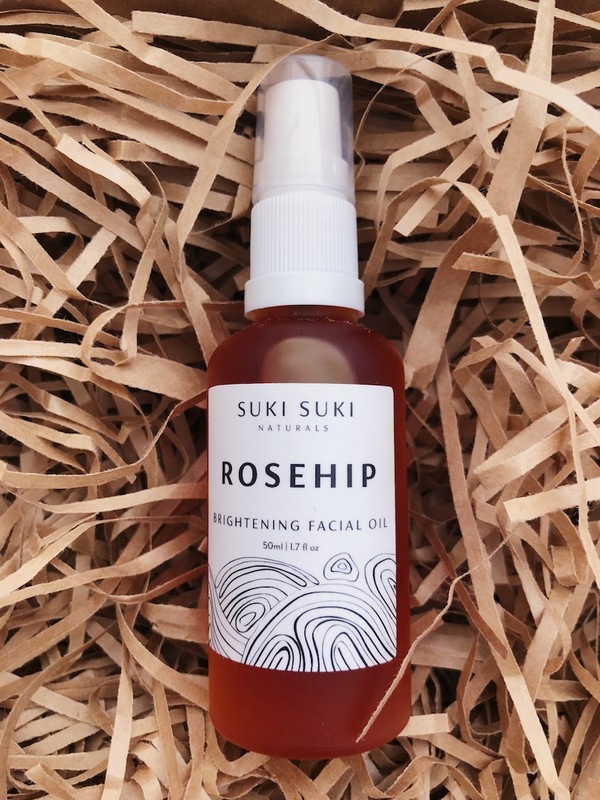 Rosehip oil is also since in vitamin E, D and B-carotene, which are all anti-oxidants that help fight free radicals. 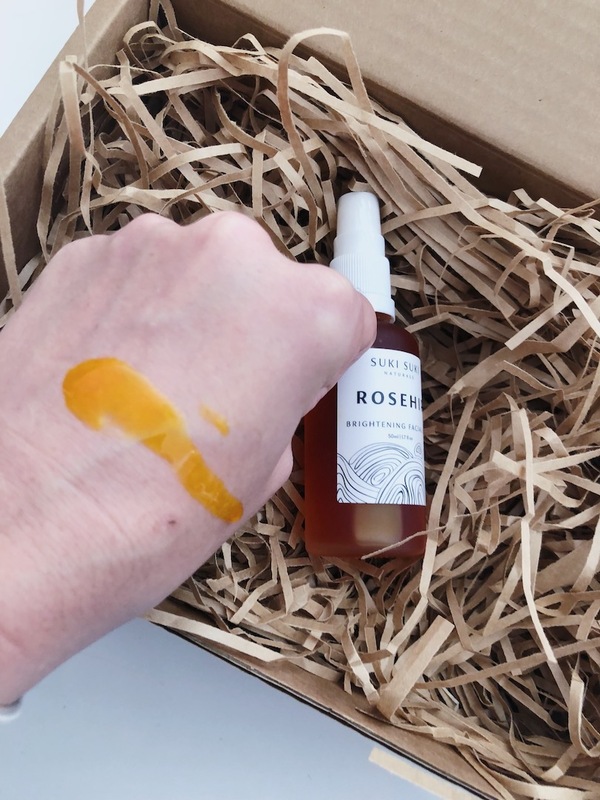 When I first applied it I didn’t realise how orange it would be, but as I rubbed it in, the orange disappeared – my eye area looked brighter (I’m sure the orange combats the blue undertones of my baby-sleep-deprived eye circles) and my skin lapped it up beautifully. Suitable for dry lips. R60 for 14g. It contains deeply nourishing unrefined shea butter and castor oil to help lock in moisture. 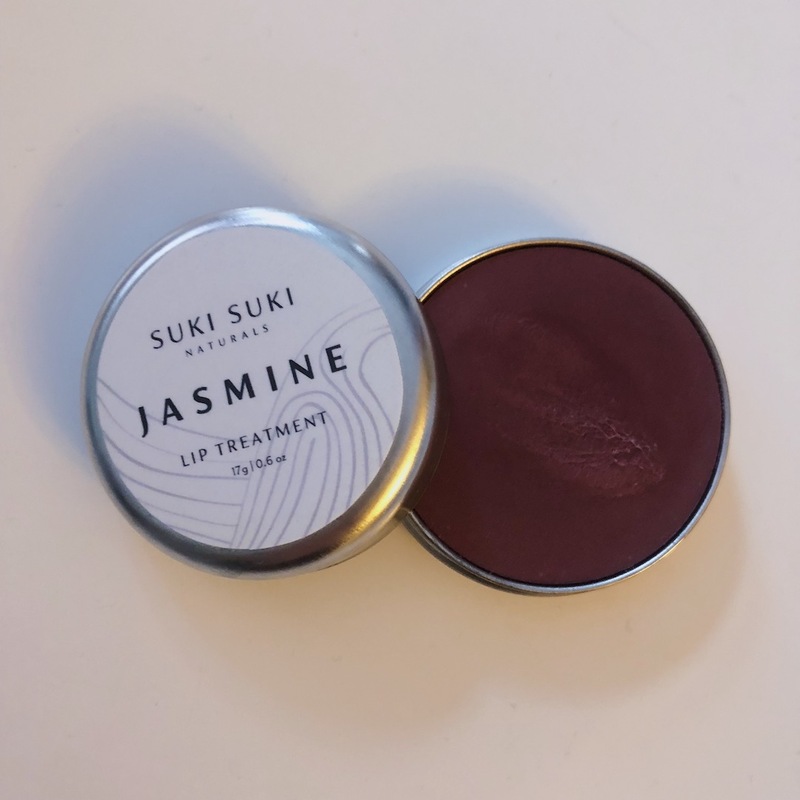 It’s soft and it leaves my lips in great condition, without feeling sticky or overly coated. It feels hard to touch, but you don’t need much – so just lightly rub the balm and don’t dig your finger in. 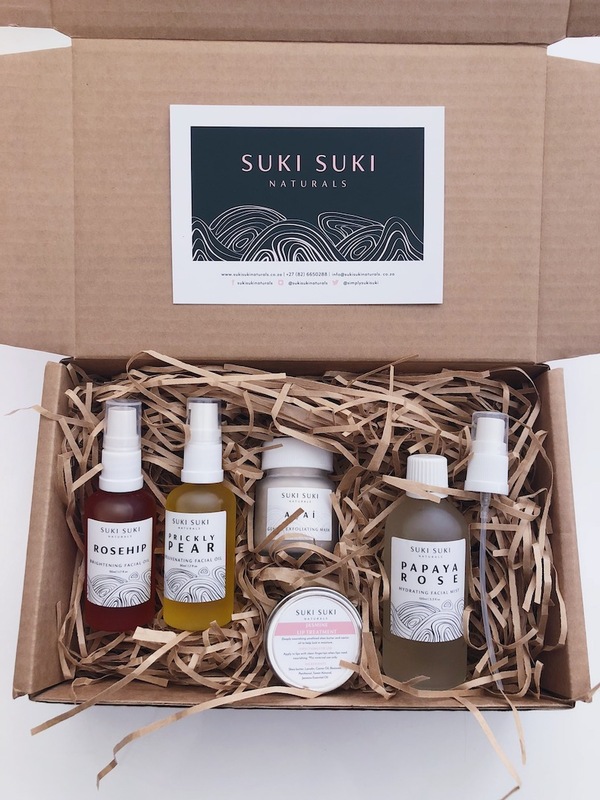 Suki Suki Naturals don’t just have skincare, they also have hair care and a range for men too.